This is a basic memory-testing game which features a scoring system on how well you are able to remember things while performing different tasks. 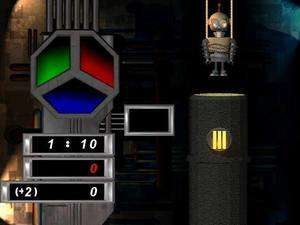 Memory Machine revolves around saving a robot from destruction. The Memory Machine 1.1 is a shareware program and can be used as a demo to try the software until the free trial period has ended. A full version of the program is available after the trial period ends. For security reasons, you should also check out the The Memory Machine download at LO4D.com which includes virus and malware tests. Additional screenshots of this application download may be available, too.